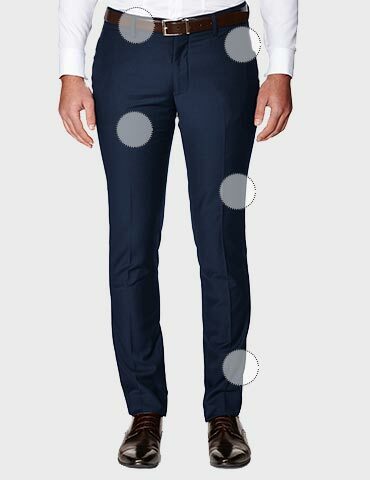 Complete your suiting with these sophisticated Politix dress pants. 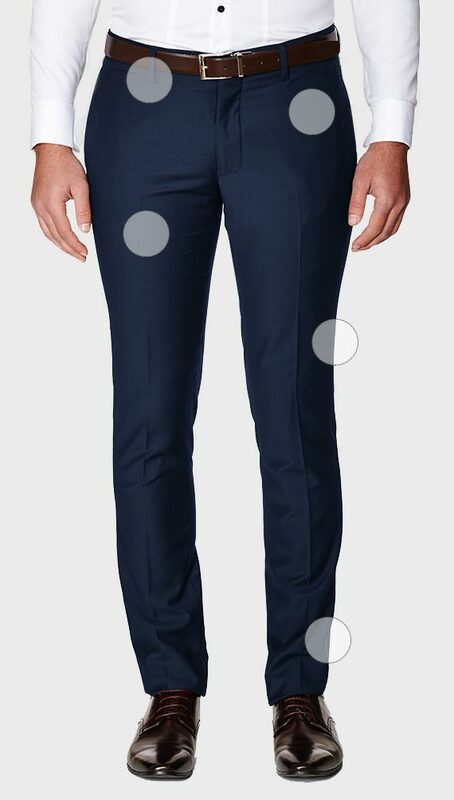 Featuring a modern skinny fit design, stylish front dart detailing and elegantly placed double pockets, these navy dress pants are a debonair compliment to your formal attire. Designed to match any new navy suit jacket in the Politix collection. Combine with a dress shirt and tailored suit jacket from the Politix Black Tie collection and impress company with your high-quality taste and fashion-forward style. Material: polyester/viscose. All cigarettes and no socks. The Skinny fit is a nod to effortless cool and suiting up whichever damn way you please. We’ve lowered the pant rise and removed the oldschool pleats to craft a slick and modern skinny fit. No excess material in weird places makes for a skinny look. Slimmer through the knee, and tapering down to a narrower pant hem. This fit is cut closely to the leg and looks sharp with a shorter pant break. As flexible as a Russian gymnast, suit separates let you select the size and style combos. Match em up with jackets, or don’t. Suit it up your own way.